Traditionally in the GCC, owning large pieces of land has been a means of safeguarding wealth for both governments and the private sector. However, these lands often lie dormant and unexploited, said a report. According to management consultancy Strategy& (formerly Booz & Company), part of the PwC network, recent growing economic pressure calls for a new approach in order to unlock these lands’ true value. Among governments, that value resides in generating income, plugging any budget deficits, as well as in the potential for developing land to better meet the needs of its citizens, stated the report. In Saudi Arabia for example, the government is consolidating all its strategic land holdings to be used in major government-led development projects. For private sector owners, the goal is the same: to commercially exploit and develop dormant land, however these players will do so due to the need to avoid idle land taxes, hedge against slower growth of their core businesses and to diversify their portfolios, it added. Ramy Sfeir, a partner with Strategy& Middle East and leader of the family, investments, and real estate and the deals platforms, said: "The region has been hit by lower oil prices, political uncertainty has also risen – we are now in a situation where we need to generate value through all means available, which includes these dormant land banks." "We have outlined five approaches to extract value from these lands, which all offer a range of potential returns and corresponding levels of risk," observed Sfeir. *Mortgaging property or selling and then leasing back: This is the fastest means of releasing capital, with limited requirements and transferring all risk of the property to the buyer. This however often eliminates the opportunity to create long-term value. *Leasing the property under a long-term arrangement: This approach is often used, particularly for hotels and malls. It generates recurring income for the duration of the lease, requires limited capabilities and funding, and preserves long-term usage rights for the owner. However, its success depends on the investor, which could be a risk of its own. *Selling property outright: Historically, this has been the preferred strategy of large institutional landowners as it required few capabilities and funding. 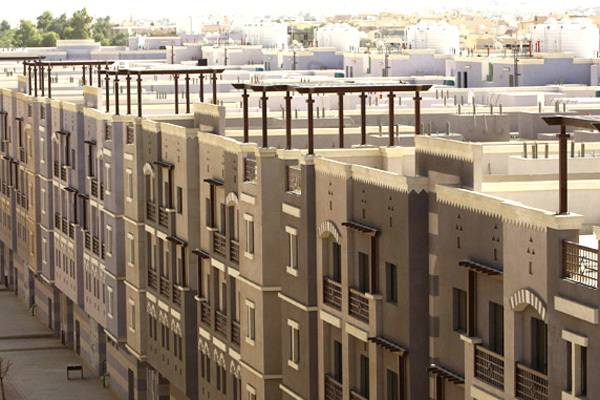 However, its popularity led to a limited real estate investment and development activity in the region, and is one of the key reasons behind the housing shortage in Saudi Arabia. This approach might also limit any future chances of creating value. *Contributing land to a development project with a partner: Here, the landowner partners with an investor and contributes the land as equity, in return for partial ownership of the project, while the investor puts in the capital. When the property starts generating income, the landowner and investor split proceeds based on ownership. The disadvantage is that the approach does not guarantee returns, and it can introduce significant risk due to the owner’s lack of control over the developer. *Contributing land and equity to a development project: The final option, and the most complex, asks that the landowner shifts from a passive investor to an active developer. In addition to the land, the owner also contributes equity in return for a larger share of the development proceeds. Although it offers the highest potential returns, it also presents the greatest risk, as it requires heavy capital and the widest range of capabilities. Commenting on this, Karim Abdallah, a partner with Strategy& Middle East, said: "Unlocking value from dormant land is not easy; there are four key success factors that landowners should consider. They should firstly be proactive and think strategically, they should seek the right deal and partner for them, they should structure the agreement to align with their incentives and retain control, and finally, they should consider all viable financing mechanisms and vehicles." Bruno Wehbe, the principal with Strategy& Middle East, said: "Long gone are the days when governments and private-sector entities could apply a buy-and-hold mindset to purchasing land. Economic pressures, new taxes on undeveloped land, and other challenges are pushing these owners to exploit their land banks as best they can, both for their sake and for the rest of the country’s economy."